Can't decide between a gas or charcoal grill? Get both with this combination grill from Smoke Hollow. 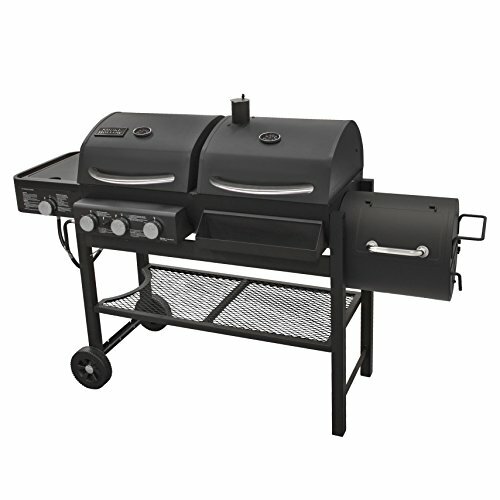 Enjoy all kinds of barbecue-style cooking with the 3-burner gas grill, charcoal grill, side burner and side smoker. Perfect for large backyard gatherings or just for family dinners, this convenient grill fires up authentic barbecue taste.